For those with a passion for the outdoors, Alaska’s local, state and national parks are unparalleled. Whether you are planning a backcountry expedition, ice fishing in a local lake or hiking a nearby trail, the parks offer authentic experiences that excite the senses and engage the mind. It’s hard to go wrong with so many splendors to explore. 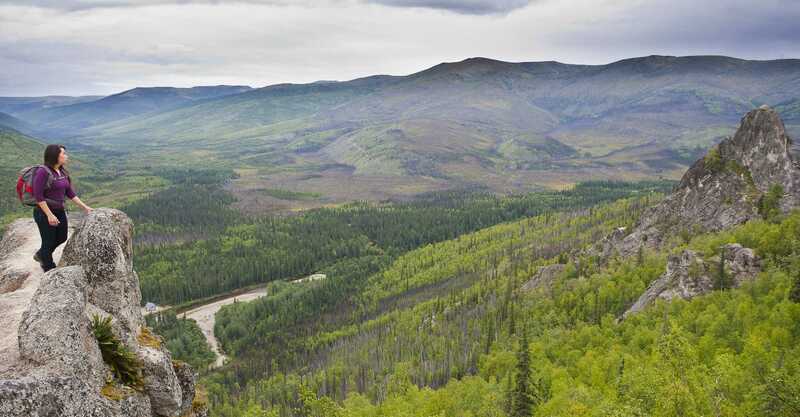 The Fairbanks area has an abundance of local parks that are within easy reach. 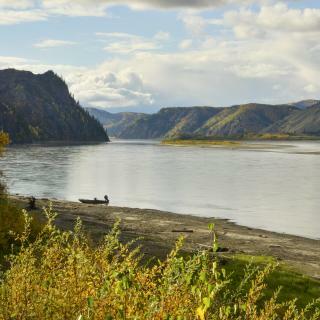 Swim, picnic or go boating at Tanana Lakes Recreation Area. Play some ball at Growden Park, go on a hike at Birch Hill Recreation Area or play volleyball or horse shoes at Chena River Wayside. You can even take your pup for a walk at the Fairbanks Dog Park. 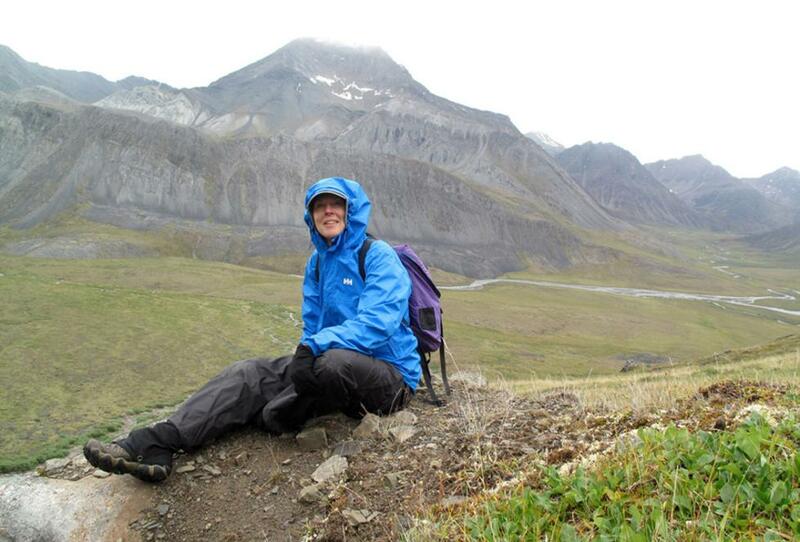 There are outstanding, accessible, enormous state parks in Alaska’s Interior. State parks offer picturesque cabins and ice fishing huts for a small fee in various locations near Fairbanks allowing visitors a portal into authentic Alaskan experiences. Rent a cabin, fire up a wood stove, embrace the midnight sun, or see millions of stars and perhaps the northern lights. Search for beautiful flora and fauna and simply enjoy being in nature. Some of the state parks include the Chena River State Recreation Area, Harding Lake State Recreation Area, Delta Junction Area State Park and Lower Chatanika State Recreation Area. State recreational areas offer fishing, camping, hiking, volleyball, baseball and a variety of water sports. Some state parks tell stories about the area’s gold rush past and assist in the preservation of gold rush era artifacts. The National Park Service celebrated 100 years in 2016 with a FIND YOUR PARK theme. 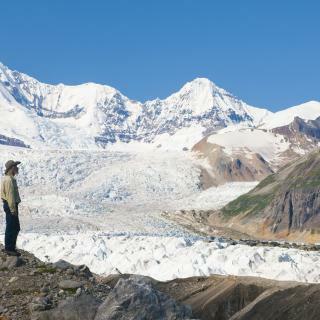 In addition to the legendary Denali National Park and Preserve, there are a handful of other glorious national parks in the Interior and Arctic regions. The parks are mostly vast and essentially untouched wilderness with few or no roads, trails or established campsites. For those visitors who don’t have the time or the backcountry skills to mount an expedition into the parks, there are other options. Local air taxis provide flightseeing trips and outfitters guide day trips or overnight campouts to remote locations. 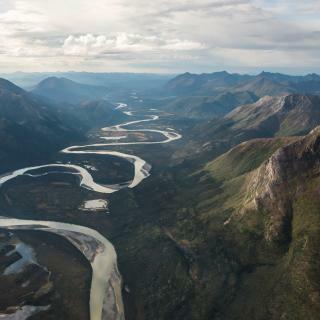 Hike through Alaska’s ultimate wilderness or float a remote river. 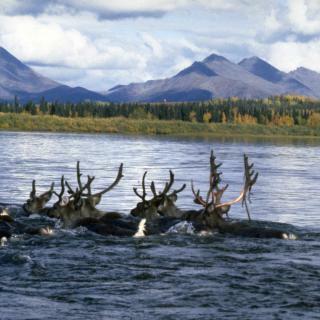 See caribou cross a northern valley, fish a serene alpine lake or simply listen to the call of the wild. 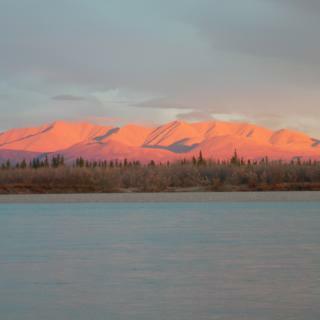 Surrounded by wilderness the outdoor adventure lover can kayak, canoe, hike, fish and camp in the Fairbanks area and in the winter add to that dog sledding, snowmobiling and snowshoeing too. There was this moment when I realized some of my most contented times are spent outdoors. Now I take every opportunity I can to be present in the physical landscape. My career as an artist gives me access to remote wilderness areas. In less than two hours I can be in Denali to the south or the Gates of the Arctic to the north. Whether you visit or live in Alaska, you should take a moment to explore the landscape and peoples around Fairbanks—it is real and raw, commanding and inspirational, it’s why we all come here and it's like nothing else.